If there's one thing to say about 2018, it's that it's all about nostalgia for the '90s. From Anne Curtis' BLK Cosmetics anniversary party to James Reid's Careless Mixtape album, local celebs (and the rest of the world) can't seem to get enough of the decade. The latest celeb to stylishly look like they just came from 1995 is Liza Soberano! 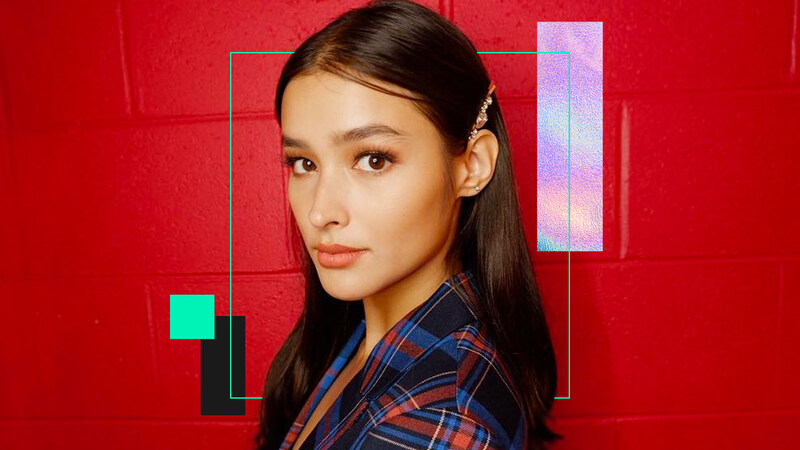 The 20-year-old actress sported a bunch of '90s trends during the ASAP Live in Sydney concert: sleek roots, a middle part, a snap clip hair accessory, which icydk, is cool again, and a bright plaid blazer! And according to Liza, Maja Salvador did her makeup! When she wore a purple scrunchie to match her purple top. How about the time she wore a pair of cargo pants? They looked really good on her! She also sported a famous '90s hair accessory: a ~*velvet*~ headband. While here she looks like she could be the sixth Spice Girl!